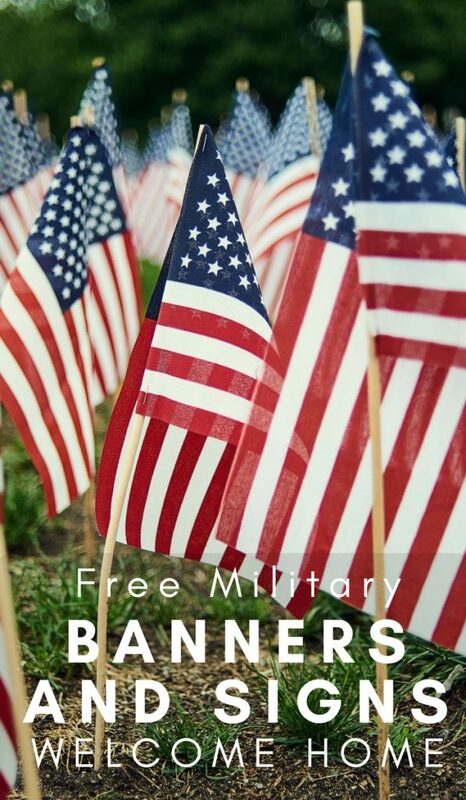 We all know about the freebies for active duty military, retired military, and veterans on veterans day but there are a few freebies available all year around including free wedding dresses and free military welcome home banners. I remember Mr. Frugal Navy Wife's and my first homecoming. Our oldest was 7 months old and he had left when he was less than a month old! I remember when I got the timeframe window of him coming home I was so excited. I cleaned the house from top to bottom. I don't think it has ever been so clean since. My goal was not to focus on the time! We spend time planning his homecoming everything from banners and balloons inside and the Free Military Welcome Home Banners and decor outside. I made all his favorite food. I did a grocery store run to make sure he had all his favorite drinks and snacks, and all his toiletries etc. 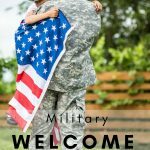 Since 2008, Build A Sign has given away more than 275,000 Military Welcome Home banners to friends and families for their loved ones returning home from a deployment. It’s our way to say thanks for their service and sacrifice and to make all homecomings a little more special. Head over to BuildASign.com now to create your own FREE banner, Yard Sign, Or Jumbo Card (just pay to ship). This will make your loved one's homecoming extra special! I know my husband LOVED his! Hey did you know Ebates has special military cashback deals?